It was a great evening of food and so much to learn. We ate so much also!! You can tell by the picture that we each had our own tray of the 7 cheeses that we would be learning about. 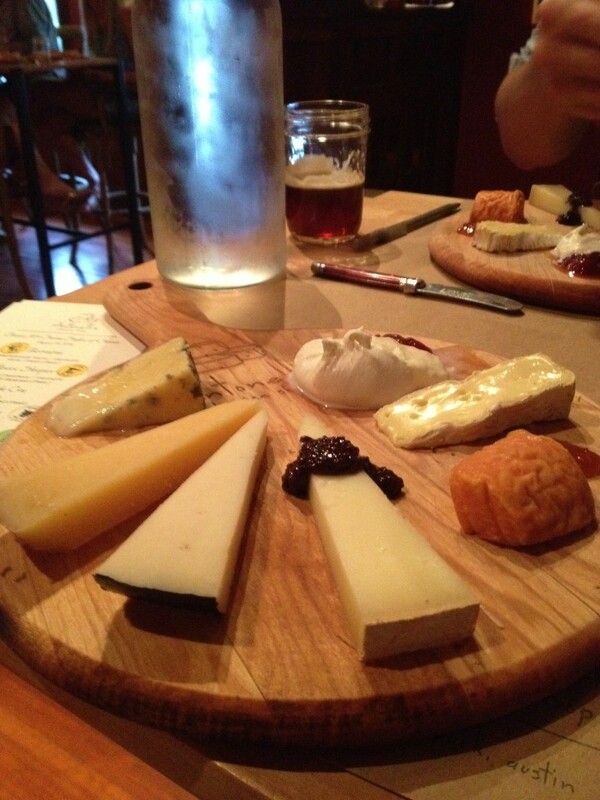 We learned the history of each style of cheese and how it’s made, and where our samples came from. I have to admit I loved all 7 of the choices. We paired them with some jellies, Castelvetrano olives (my favorite) and wonderful Marcona almonds. Chunks of wonderful breads and crackers to place them with also. What a great evening, I am now prepared to start trying out my new found love of cheese and education for my guest. Some will be on the trays we serve, our “Do Not Disturb“, package is fruits, cheese and wine. And some will be going into the breakfast dishes. I highly recommend that you go to Austin and do this wonderful class, you will not be disappointed. I did find that my 2 favorites of the tasting were made from sheep milk. Sheep milk, of course, the highest fat content of any milk. Now maybe I need to look into raising some milk sheep!! This entry was posted in Deb's Doodles, From the kitchen and tagged 7 styles of cheese, cheese class, cheese making by admin. Bookmark the permalink.